When we met with Leanna and Paul to determine the type of home they wanted to buy we learned they share a strong love for traveling and they are going into the home purchase knowing they plan to sell this home later on. Leanna and Paul are set apart from other homebuyers because they purposefully shop for a home with the intent to resell it which makes their focus on resale value very high. In their marriage, this couple has extensively traveled across the U.S. and abroad plus lived in different states and owned (and sold) more than twenty houses. Knowing this about themselves, the couple may pass up on quirky architectural features or homes located greater distances from local conveniences and amenities. They may steer clear of properties with postage stamp size yards and oddly shaped lots. They may pass up a great listing deal for a better long-term investment if the real estate marketing projections show the neighborhood to be up-and-coming with booming growth potential. Not all people who purchase homes with the intention of reselling the home may travel like Leanna and Paul, but these types of buyers do share an eye for very specific things they want in a home. These buyers seek the following qualities when visiting houses. Living in a neighborhood close to everything is the ultimate location. Pair this in a neighborhood with a good school district and the resale value skyrockets. When reselling a house, school districts with rave reviews matter even if you don’t have children nor ever plan to have children. If you overlook the impact a school district has on the location you are eliminating families being potential buyers which are a large percentage of people. Proximity to conveniences is important but don’t overlook a home on a busy street versus one on a corner lot on a quieter street. Which one will appeal to more people? Before saying “yes” to a specific location check with the city records about any future plans or additions to the area which may impact the future of this location. Will a shopping center be zoned nearby which changes the neighborhood demographics? It’s hard to predict the future but asking first may save you headaches when resell time arrives and the neighborhood-feel has shifted. Resale Value 2: Two or more bedrooms. Bedrooms are a huge plus for house-hunters. If you’re trying to attract a family or young couple hoping to start a family they will be seeking a home with two or more bedrooms. Today’s homeowners often enjoy having a home office, or two, within their home. Having more bedrooms in the home can making creating an office space an easy thing to do. Resale Value 3: Two or more bathrooms. 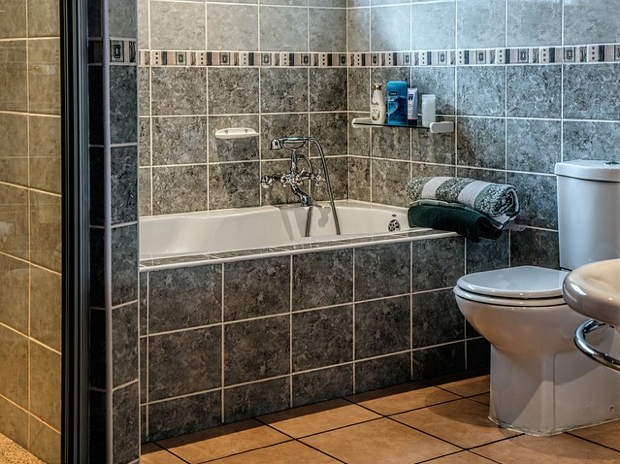 The greater number of people living under one roof, the greater increase for more bathrooms. Given a choice between a single-bath home and another listing with two baths, the two-bath home will be chosen. Homes with a master bath that’s on-suite also raises the appeal of a home. If you must choose between a closet and adding a half-bath, choose the bath. Resale Value 4: A garage for parking and added storage. Most households now own at least two vehicles so buyers will want room for two parking spaces. Ideally, it’s preferred to park in a garage. Plus, a garage offers more storage space. It’s been proven homes with a garage sell faster. Resale Value 5: A single-level home. The trend has shifted to make one-level homes very desirable in most suburban areas. Having a master bedroom on the first-floor gives homeowners many more options to live in the home longer into their retirement years. The one exception is older city neighborhoods tend to have more two-story homes and these are more in-demand because they keep in style for the neighborhood. With this in mind, if the neighborhood is primarily two-story homes with a few one-levels, buy the two-story. The two-story will hold a higher resell value for these communities. Resale Value 6: Updated, remodeled, or upgrades. Home improvements and well-maintained homes will always be more desirable. Upgrading a home to be more energy-efficient is something buyers appreciate. The only caution as you invest in upgrades and replace fixtures and finishes in your home is to take care to not upgrade your home out of the current neighborhood prices. Keep finishes and upgrades reasonable for the home and the location. If the homes in the neighborhood listings have concrete countertops and you add granite it may be unlikely your home will assess for the tax value you need to sell the house for at the price you desire. Resale Value 7: The age and wear of the roof, HVAC, and water heater. The roof, HVAC, and water heater wear out over time. If yours are older and showing wear it may be necessary to replace these to reap the highest resell amount. You never want a buyer to make a choice between having enough money for a down payment or having money to replace one of these items so they walk away from the sale. Resale Value 8: Natural light and open space. Natural light, open spaces, and a common-sense floor plan make for natural choices for buyers. When considering floor plans for families, parents appreciate a master suite near other bedrooms. They do not want to be too far from young children such as having a master suite on the other side of the house. Families search for larger family-space rooms where a group can comfortably gather or are ideal for entertaining whether inside or outdoors. The days of formal living rooms have passed. Think of spaces with a specific purpose or dual purpose to match diverse living styles such as being able to cook in the kitchen while being near enough to a family room where entertaining is taking place or little ones may be playing. It’s a mistake to focus solely on whether the home suits your own needs when searching for a home with resale value. It’s necessary to consider how the home will appeal to future buyers as well. We’re happy to sit down with you to discuss your needs and work with you to find the best matches. Contact us today to get started.